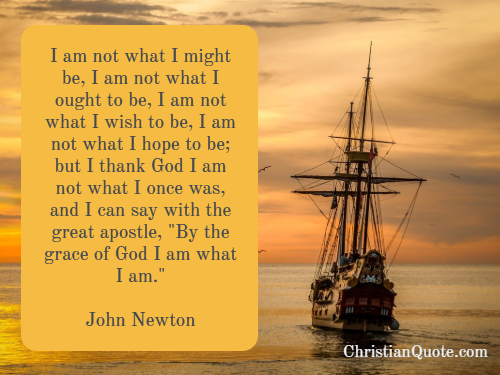 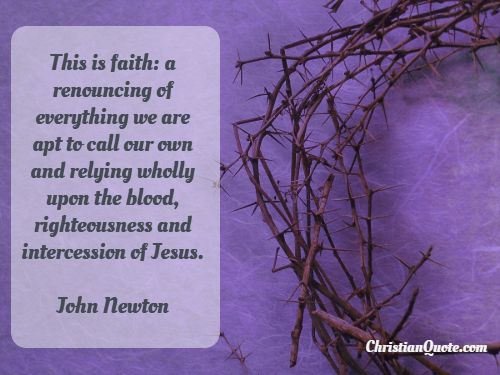 This is faith: a renouncing of everything we are apt to call our own and relying wholly upon the blood, righteousness and intercession of Jesus. 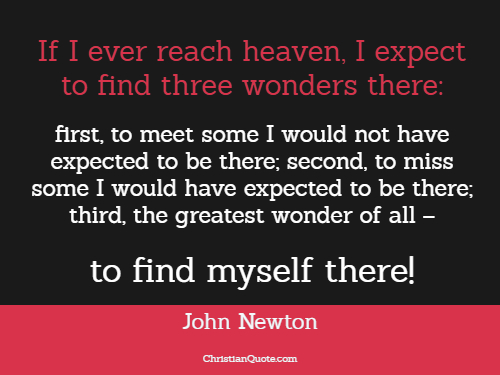 If I ever reach heaven, I expect to find three wonders there: first, to meet some I would not have expected to be there; second, to miss some I would have expected to be there; third, the greatest wonder of all – to find myself there! 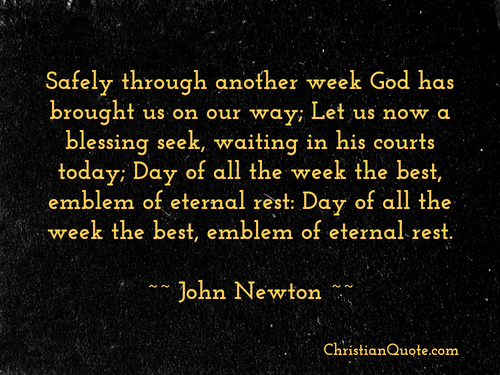 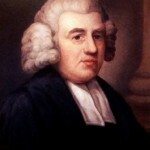 Safely through another week God has brought us on our way; Let us now a blessing seek, waiting in his courts today; Day of all the week the best, emblem of eternal rest: Day of all the week the best, emblem of eternal rest.